Whoo, Whoo, Whoo won’t remember to hang their coat on such a stately hook!? 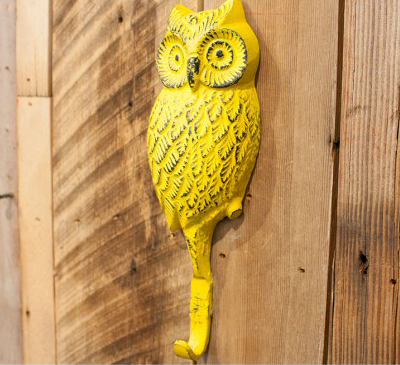 The Horned Owl Wall Hook is made of iron and measures 3″ x 8.5″. $14.95. Buy here.